What is it? 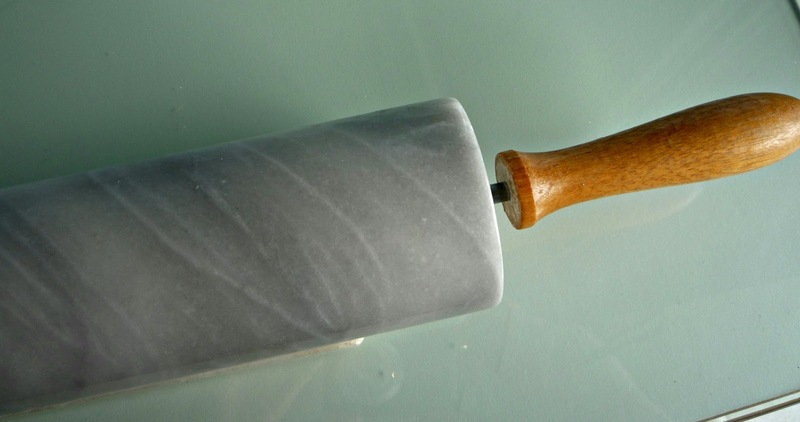 This is a marble rolling pin. Where did I get it? I found this at my local thrift store. I saw it from down the isle and practically ran down there and 'yonked' if off the shelf as if hoards of rolling pin hunters were around the corner. The other people in the aisle looked at me weirdly but I got a steal of a deal! This pin and holder were $7.99! My mother had this exact same pin (minus the holder) and I have been on the hunt for this for years! Do I use it? Yes! 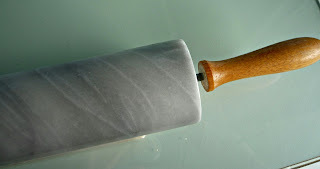 It's a beautiful rolling pin. So heavy and it's going to be nice for pastries.